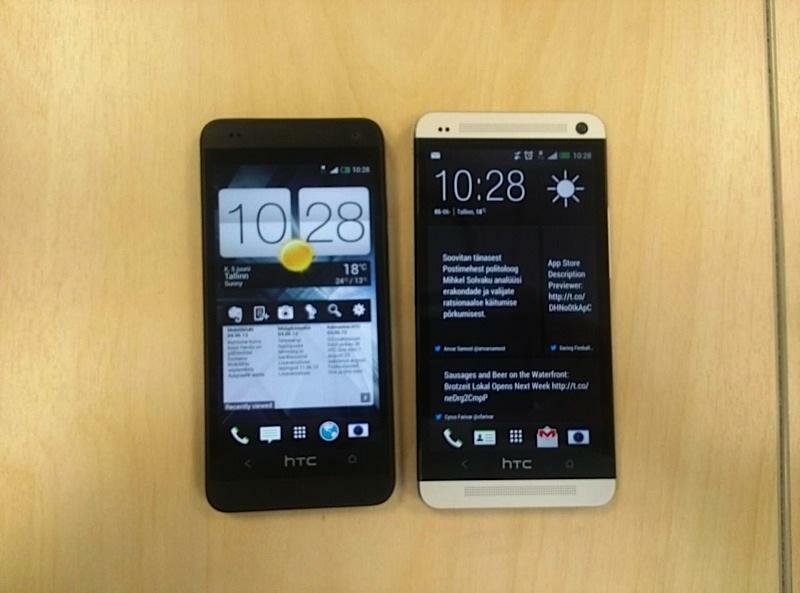 The long-rumored HTC One Mini will be released in Q3 2013, claims DigiTimes in an article published today, adding that Samsung’s Galaxy S4 Mini has a similar launch window (we assume the writer is referring to the U.S. release date as the device is already available in the UK). The report cites “Taiwan-based supply chain makers,” but DigiTimes‘ sources don’t have the best record, so we won’t know anything for sure until the two companies make their own official announcements. Samsung recently revealed the Galaxy S4 Mini and demonstrated the 4.3-inch handset at a press event held in London on June 20. The smartphone comes equipped with a Super AMOLED touchscreen with a resolution of 540 x 960 pixels, 1.5GB of RAM for the 3G model or 2GB of RAM for the LTE model, 8GB of internal memory upgradable to 64GB via microSD slot, an 8-megapixel rear camera, a 1.9-megapixel front-facing camera, Qualcomm’s dual-core 1.7GHz Snapdragon 400 processor, and a 1,900 mAh battery. It runs the latest Android 4.2.2 Jelly Bean OS out of the box along with the South Korean company’s own TouchWiz software. 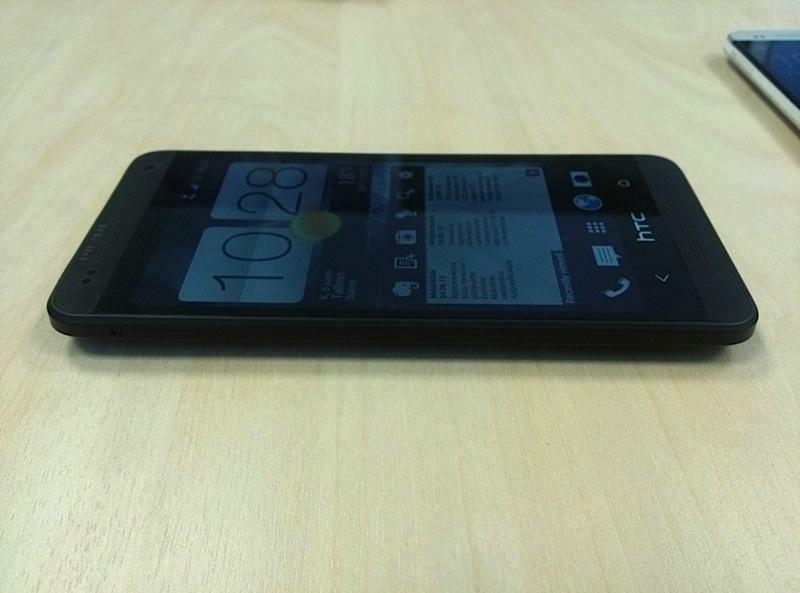 Meanwhile, the HTC One Mini remains a mystery despite a handful of leaked photos and specs for the device. The handset is expected to feature a 4.3-inch 720p HD display with a resolution of 1280 x 720 pixels, BoomSound stereo speaker grills and Beats Audio. 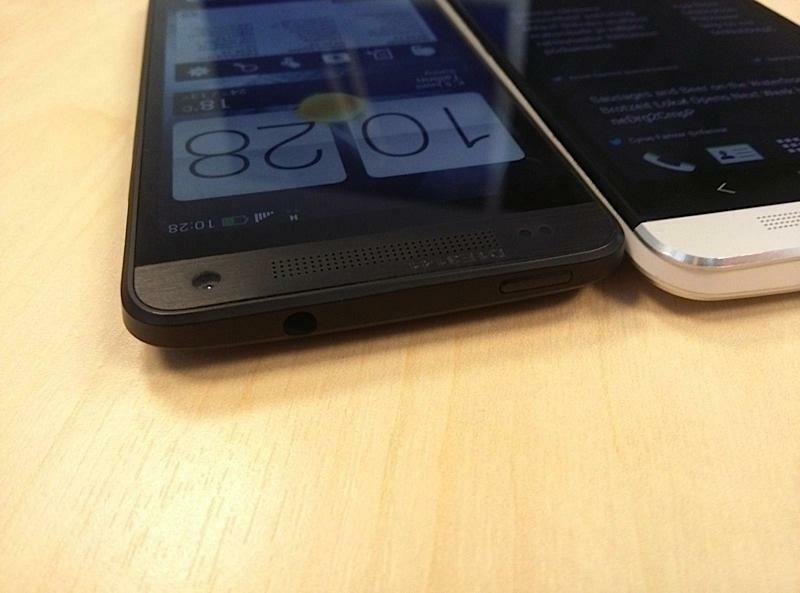 The device will likely run on Android 4.2.2 Jelly Bean, though it may not come with the latest Sense 5 software from HTC, and will likely lack the flagship phone’s quad-core processor and IR blaster. DigiTimes also claims that Apple will launch its own rumored low-cost smartphone in Q3, adding that Lenovo and Huawei also plan to release their own “Mini” smartphones later this year. 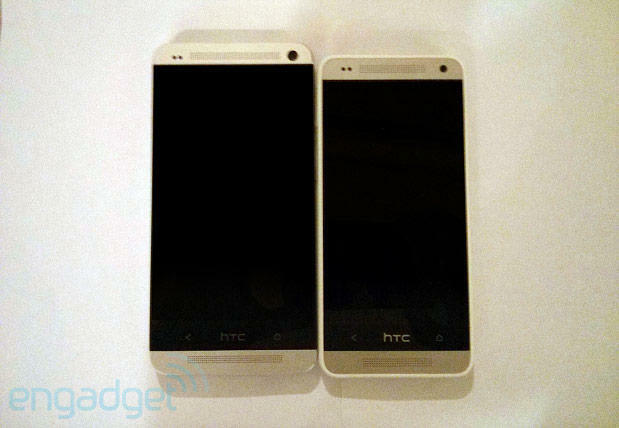 Again, we’re still taking these rumors with a grain of salt.